Judith Seligson Art Rug Collection. Judith Seligson infuses art into design in her new work. "Big paintings will come and go. "Market Art + Design returns to The Bridgehampton Museum this July 2017, bringing the East End's premier art fair...While visiting be sure to check out the works of Judith Seligson." "The best of this year's Architectural Digest Design Show"
"On Thursday, over at Piers 92 and 94, the Architectural Digest Design Show kicked off. The event – which is in its 16th year – ran through the weekend, and showcased a selection of trendsetting designs, plus a whole lot of rather less exciting appliances. Over 400 brands showed up to exhibit including Andrew Molleur Studio, Sien + co, KGBL, Jenn-Air, Judith Seligson, Ercole Home, Rayon Roskar, Rocky Mountain Hardware and bones studio. Here our some of our top picks from the show:"
"The Architectural Digest Design Show Celebrates GIRL POWER at MADE"
"It’s Women’s National History Month, and we are so excited to see how the design world is celebrating women. One of our favorites is MADE at the Architectural Digest Design Show, where the theme for this year is GIRL POWER. MADE is a juried section at the show where emerging and returning designers showcase their handcrafted and limited edition or one-of-a-kind furnishings, accessories and fine art pieces. Here are 12 women makers that we’re especially excited about." "Editors’ Picks: 6 Art Events to See in New York This Week"
"At age 66, Judith Seligson is enjoying her largest solo show (on view through January 22) to date of her colorful geometric abstractions. 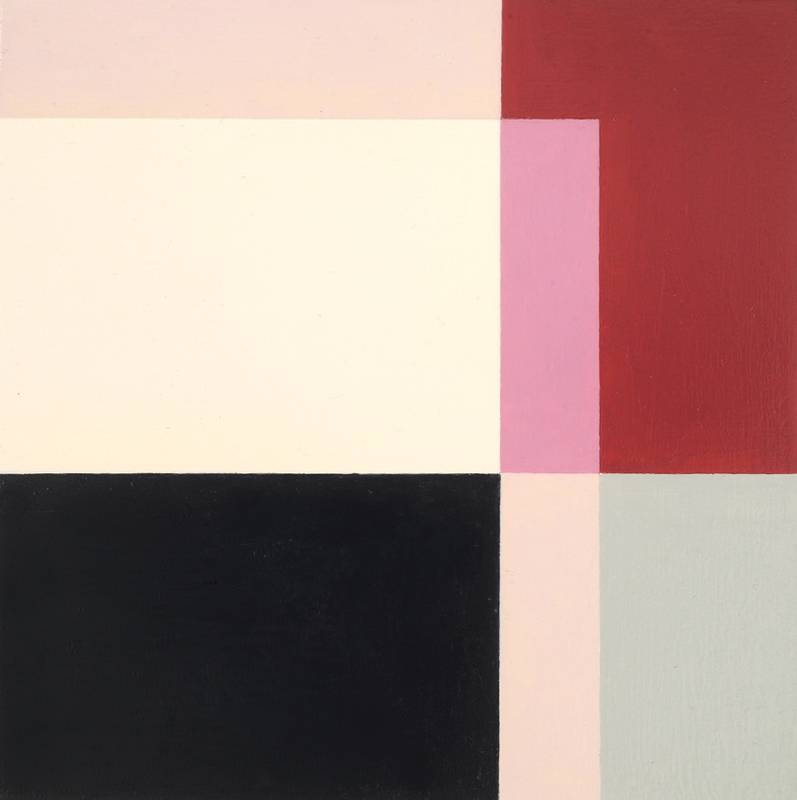 The 50 recent paintings on view, however, are among her smallest works, some as minute as one or two inches across." "Lose Yourself in Judith Seligson's New Age Abstraction"
"For an artsy spin on your New Years Eve gifts, what better than a festively-wrapped Judith Seligson original? Small enough to fit in your suitcase, or even under your Christmas tree, these special edition Seligson paintings are juxtaposed vibrance at its best." "Judith Seligson = Josef Albers liberated!" "Galerie Mourlot is major – and Judith Seligson’s explosions of shapes into art space ships is how it is celebrating this holiday period. Seligson uses the line to make shapes living beings – just by adding the purest notion of color seen since – yes, Josef Albers"
"Reluctant Gallerist Eric Mourlot on Galleries, Commerce and His Judith Seligson Show"
"Mourlot’s unconventional gallery space (he describes it as more European than American) is particularly appropriate for these works. The two floors more resemble a comfortable townhouse than a Chelsea white cube, and Seligson’s hard-edged geometric paintings add contrast and color to this softer, more informal space. It’s easy to imagine the works in one’s own apartment, and apparently, collectors agree—about a month into the show, nearly half of the forty-some paintings had sold." 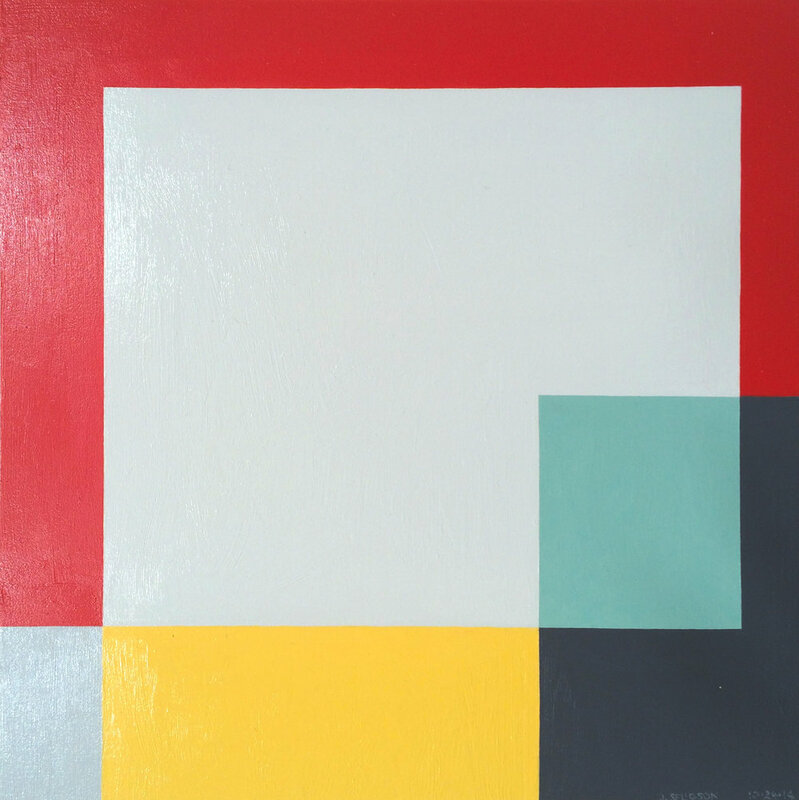 "Shape and Color Fall in Love: An Interview with Judith Seligson"
"Colors fracture, shapes surface, and together the two work in tandem to continue Josef Albers’ exploration of minimalist, geometric compositions. Judith Seligson’s new exhibition Drawing the Line is comprised of elegant, cheerful examples of shape and color getting well acquainted." "Into Hard-Edge Abstraction? Check out Galerie Mourlot's Exhibition on Judith Seligson"
"'I love being a painter—more and more. Making a life out of juxtaposing colors. Who could ask for more?'" "In the galleries: Deeply in the present but beholden to the past"
"There’s drama in the large gestures, such as the way a bright hue jumps from a panel to the adjacent one, but also in such almost-hidden features as a tiny, lime-green square nestled off-center in a large expanse. If Seligson’s approach is crisply mathematical, it doesn’t banish play." "City hosts three thought-provoking art exhibits"
"Gaps are the point of departure for Ms. Seligson's work." “'When we moved in, it was Allan’s playpen,' Ms. Seligson, 63, said. 'It has evolved in different ways.'" Mr. Greenberg cited as an example a pantry closet in the open kitchen-living area. 'These were four really bland steel doors,' he said. They have since been painted in a vibrant pattern that Ms. Seligson designed in collaboration with her husband. "Collector Spotlight: Judith Seligson and Allan Greenberg"
"Nearly every work hanging on the wall or propped on a shelf is a Seligson creation, dozens of canvases defined by sharp angles and color-blocking, such that the apartment feels caught in refracted light from every direction."